Home » Blog » New Freeland Store Open! 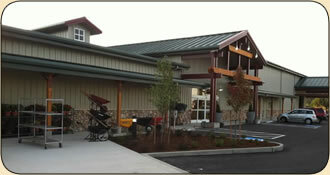 Skagit Farmers Supply has completed construction of its new Country Store in Freeland, Washington. The new building replaces the Country Store which was located at 1592 East Main in Freeland to make way for expanded product lines and services. The store is located off of Highway 525, next to Nichols Brothers Boat Builders, with hours of operation from 8 a.m. to 7 p.m. Monday through Friday, 8 a.m. to 6 p.m. on Saturday and 9 a.m. to 5 p.m. on Sunday. Questions can be directed to the store’s manager, Rick Gauger, at 360-331-1970 during business hours. Skagit Farmers Supply operates six Country Stores with locations in Sedro-Woolley, Burlington, Mount Vernon, Oak Harbor, Freeland and Stanwood. There are also four fueling stations, bulk fuel and propane delivery, two agronomy centers and a water systems department. All services are available to the public. Skagit Farmers Supply has been an active member of the community since 1934 and will continue its community stewardship into the future.